As we all know YouTube is really big source of watching videos online, and most of us also use of YouTube to watch videos.. Sometimes some videos attract us and we want to download those videos..
At that time most of us looking for How to Download Videos From YouTube..
No Doubt..We got some Softwares like YouTube Downloader to Download YouTube Videos.. But I'm Here with a Trick that doesn't need of any Softwares to download YouTube Videos..
open a youtube video and copy the video link. that is your video url. Then open a new tab and paste the video url. In this mean time you should write ss before the word youtube. This will Open a new site named Savefrom.net..where you find Download Link of the Video..
Now Just Hit the Download Button and the Download link for Various Types of Video Format Available For you..
Now Just choose your Video Format and your Downloading will be Start..! Hope you Enjoyed This cool trick..and Also Helpful to you to Download YouTube Videos Easily..! 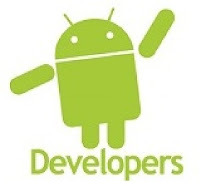 Android, developed by Google is the most widely used mobile operating system that has more then 450,000 application. But all the applications are not free, some of them cost less and some cost quite a lot. Buying all of your favorite apps is not economically feasible. And hence we found two great apps which will let you download and install paid android apps absolutely free. The two apps are Applanet and BlackMart. You just need to install any or both of these applications to enjoy unlimited android apps and games for free. If you have not enabled installation of applications from unknown sources on your Android device before, then read on. Otherwise skip this. 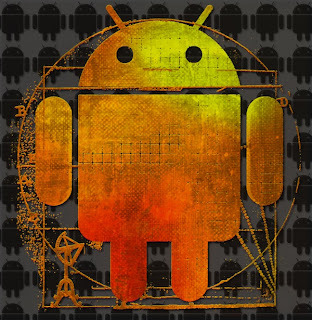 An Android device is set to block installation of applications from unknown sources. Unknown source here typically means any source other than Google Play (Android Market). So in a situation where you need to install an application by transferring it from any other device like your computer, you need to unblock it. This can be done easily. Just follow these steps below. Click the “Menu” button on your home screen. Now go to “applications” tab. Now tick the “Unknown sources” option. That’s it. Now you can install any application from outside the Google Market also. Installing applanet is not at all hard. Just download the Applanet app. Transfer it to you phone or tablet or any other Android device through data cable or Bluetooth or any other supported transfer medium. Now enable installation from unknown sources and install the app on your device.After installation just run the app from the menu. You will see a screen as shown on the right side. The interface is quite similar to the Google Play Store or the Android Market. On the top right you will have a search option, that allows you to search for any application, game or any stuff within the Applanet database. Till date Applanet has 15000+ apps in its database. You have to pay absolutely nothing for any full version paid app you download. Below the search button you will have three buttons, one for Applications which allows you to browse applications, second one for Games and the third for keeping an eye on your downloads. The games are also categorized on the basis of their genre and you can browse through them according to your own interest. and Enjoy downloading of paid apps for free on your Android device..!! The installation of BlackMart is exactly similar to Applanet. You have to first download the app from HERE. Now allow installation from unknown sources, then transfer the downloaded file to you Android device. After transferring the file, navigate to the file and install it. Now open the BlackMart application. 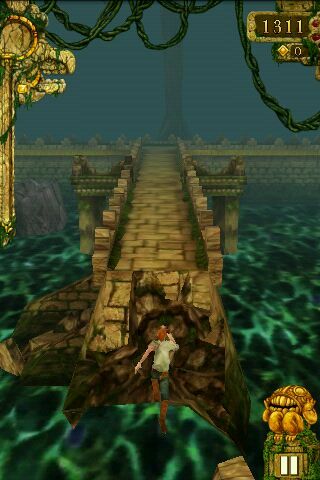 You will see a screen as shown on the right side. The application interface is also similar to that of Google Play and Applanet. Applications and Games are arranged in different sections. The installed section shows the applications currently installed on your device and also if an update is available for any of your installed application. 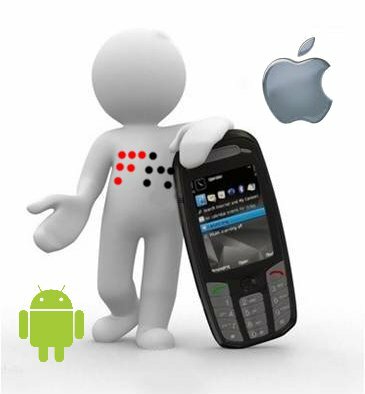 The only difference between the Applanet and BlackMart is when you download an application with Applanet, it automatically installs in your device, but when you download an application with BlackMart, it shows a notification in the notification tray that the application is downloaded and click here to install it. It requires just one additional click and nothing else. BlackMart also has a very vast database of best android apps and games and you can download any number of android apps for free using BlackMart. First Of all..what is AIDE..? 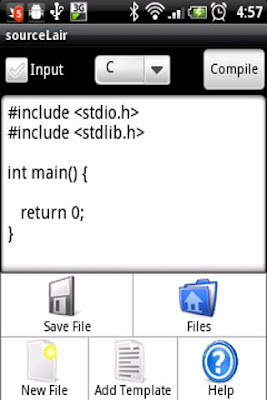 AIDE is an Free integrated development environment for developing real Android Apps directly on Android devices. 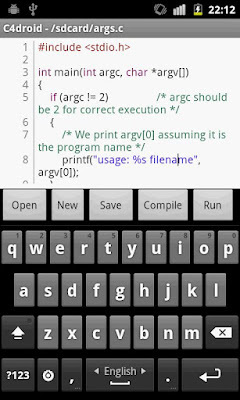 Means You Can Easily Compile And Run Java Programs On Android Phone. AIDE is More Than A Text Editor offering advanced features like code completion, real-time error checking, refactoring and smart code navigation, and Also It runs your App with a single click. AIDE supports almost all features of Eclipse,So when You start Writing Code In AIDE text Editor You will Surly feel a Real Compiler Environment. 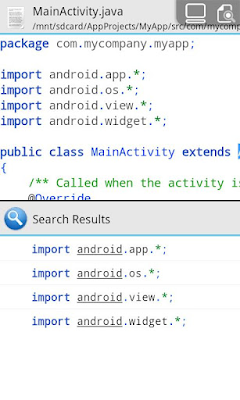 If You Want To Turn Your Mobile In To A Real Programming Machine Then Download AIDE and Enjoy..
You Can Download AIDE by Google Play By Searching AIDE in Search Bar. After Installation Its Easy To Use..